Turtle doves were once a common summer visitor to the UK, but pesticide use, hunting and habitat loss has seen their numbers plummet across Europe. Find out what rural gardeners can do to help this vulnerable species. Unlike our other doves and pigeons the turtle dove is a summer visitor to the UK, but like the others it is known for its fidelity and is a bird which has found a way deep into our psyche. Despite this the turtle dove is suffering a massive decline in Britain and Europe. It is a species which needs our help and it needs it now. We all know of turtle doves from the Twelve Days of Christmas. The reason for their inclusion in this carol is not clear but it is likely to relate to their fidelity. We have always admired birds which pair for life and it is logical that this behaviour would be encouraged through religion. Despite our long-term affection for turtle doves we have been unable to provide a suitable home for them. Between 1994 and 2016 the population of turtle doves in the UK declined by 93% (BTO) and this decline is similar across the whole of Europe. The cause of the decline is thought to involve many factors but high on the list are likely to be: the intensification of agriculture; the hunting of migrating birds by people in some Mediterranean countries (estimates of slaughtered turtle doves vary but amount to at least hundreds of thousands each year and maybe as many as two or three million); disease and possibly a desertification of habitat in their African wintering grounds. We know that intensification of agriculture is a factor because turtle doves, unlike other British doves and pigeons, eat exclusively seed. In the past they would have eaten the seeds of wildflowers found in our arable fields but as the wildflowers have been eradicated from our crops through the use of chemicals turtle doves have switched their diet to include more grain to which they seem less well-suited particularly when it comes to feeding their young. As a result their productivity in rearing young has halved since the 1970s. 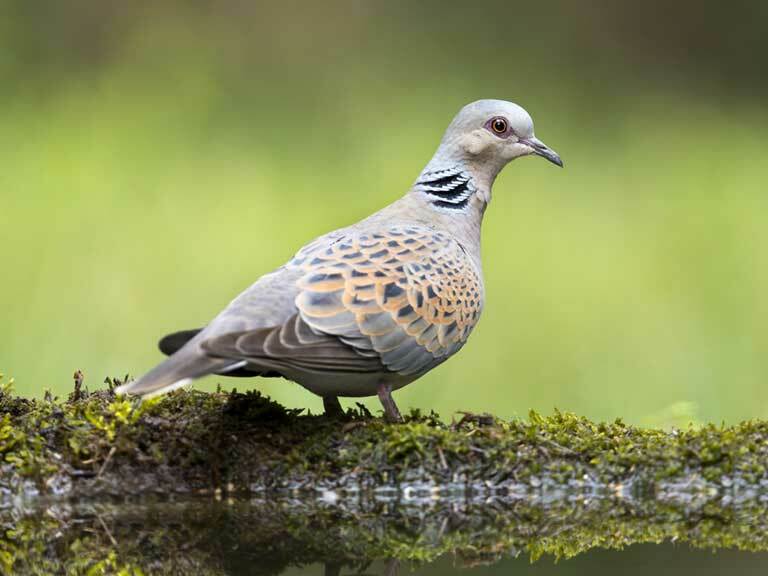 Having recognised this as a major problem the RSPB along with other conservation groups have established ‘Operation Turtle Dove’ and one of its main objectives is to establish more suitable feeding habitat on farms in the core breeding area for turtle doves around East Anglia and the South East of England. Operation Turtle Dove works with farmers to improve habitat for turtle doves and suggests ways in which we can support them in their work. 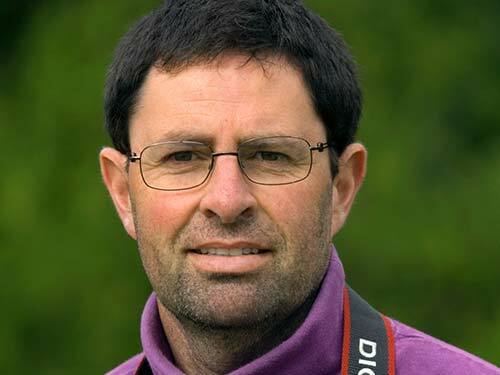 A number of farms are accredited as ‘Fair to Nature’. When you see the ‘Fair to Nature’ logo it means that at least 10% of the land on these farms is used to benefit wildlife and more specifically the research from Operation Turtle Dove feeds into the protocol for this accreditation. Often this means sowing a specific food crop for turtle doves on land set aside specifically for this purpose. Turtle doves aren’t found exclusively on farmland, they also occur in gardens so we can all do our bit to improve habitat for them and other wildlife. One of the most critical aspects is to provide water. Because turtle doves eat exclusively seed it is essential for them to have easy access to water. They don’t get any water from their food and need to mix seed and water to create ‘crop milk’ to feed to their young. A garden pond is ideal for this purpose. Turtle doves like thick hedgerows in which they can nest. These are likely to be made more attractive if they have climbing plants such as honeysuckle and traveller’s joy intertwined within them. These plants offer a source of seed in late summer. During the summer turtle doves will spend time on the ground looking for the seeds of wildflowers so if you have space to grow a wildflower patch that would be ideal. The best wildflowers for turtle doves will be those that we regard as arable weeds. Operation Turtle Dove list fumitory, black medic, red and white clover, common vetch and bird’s foot trefoil as being most helpful. It is best to turn the ground every autumn to provide optimal conditions for these species to grow. Strimming the meadow at the end of the season will not be enough to optimise the plot for turtle doves though I always think that a varied management strategy in a wildflower meadow will achieve the greatest bio-diversity.